Arabian-German Manufacturing Company (Agma), which began commercial operations last year, is currently finalising export agreements for a range of liquid detergent and household and industrial care products, a senior official says. “Recently, Agma’s products were approved by the (Bahraini) government for their projects under tender,” said Andres. Agma products are already available at nine branches of Mega Mart, Micromats at Maqaba, four outlets of Babason and three outlets of Ramis. Several cleaning contracting companies, laundries, supermarkets and food stores and small shops have been stocking up on the company’s products. Capacity at Agma’s production facilities at the Bahrain International Investment Park (BIIP) is 30 million litres annually across five fully automated lines which can run 24 hours if necessary in three shifts. Production technology is sourced from countries including Australia and Italy and raw materials come from all over the world with the main commodity supplied by LG Household and Healthcare Ltd, Korea. Andres highlights that only the best of the perfumes are used, supplies coming from leading manufacturers in the UK, Spain, Switzerland and Germany. Products produced in high volumes were Chlorwhite Bleach and Spark Dishwashing Liquid, said Andres. 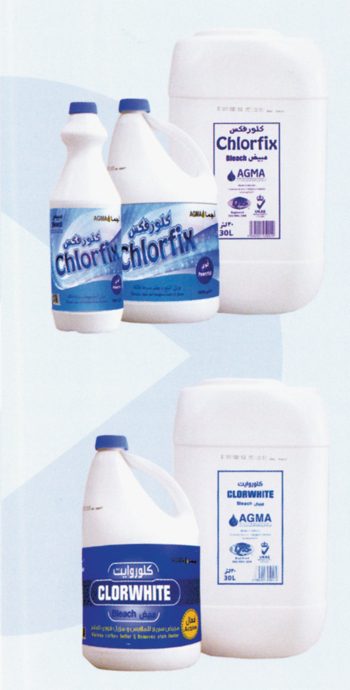 During the next two or three years, he expects the following Agma products to make strong headway in local and international markets: Agma and Ajeeb Disinfectant Floor Cleaner, Chlorfix Bleach, Daily Soft Hand Wash (Antibacterial), Spark Dishwashing Liquid (Premium) and Spring Breeze Fabric Softener. The company also lists Thunder All Purpose Cleaner, Shaila Abaya Shampoo, Shiny Glass Cleaner and Agma Speedwash Car Shampoo in its portfolio. An Agma statement says the company’s vision is to efficiently, safely and carefully produce, distribute and sell premium-quality, environmentally friendly household and industrial care products across the GCC at the lowest industry cost, using modern technologies and superior branding. Key shareholders include Baresco Holding, Bahrain Industrial Group, Fawaz Algosaibi Holding and Bahrain Development Bank. Safety and the environment are among the top priorities at Agma. The company has complied with the Bahrain Ministerial Order No 7 of 2002 with respect to control of banned and severely restricted chemicals; Ministerial Order No 3 of 2006 (hazardous waste management) and Ministerial Order No 4 of 2006 (hazardous chemicals management). Staff has been trained by the Bahrain Society of Engineers for environmental legislations in Bahrain and compliance reporting. The company has been assessed and certified by Direct Assessment Services (DAS-UK) and meets the regulatory requirements of the United Kingdom Accreditation Services (UKAS) for ISO 9001:2008, ISO 14001:2004 and BS OHSAS 18001:2007. All Agma products have been approved and testified by SGS Gulf Limited in Dubai and meet the requirements set by the Saudi Arabian Standards Organisation (SASO). 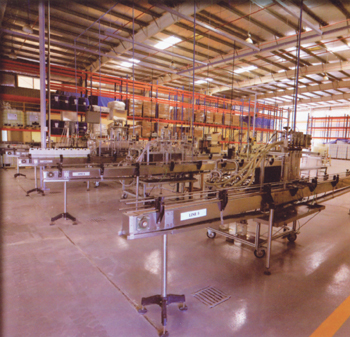 The company has an advanced laboratory for maintaining high levels of quality control and ongoing research and development.